There are many elementary science projects and experiments that can be easily carried out using salt, sugar, water and ice cubes or some combination of these supplies. Experiments of this nature are suitable for elementary school children as an introduction to chemistry, specifically solutions, solutes and solvents. The starting point for any experiment is a hypothesis: speculating an answer to the question you hope to answer with your experiment. Your hypothesis will be a definitive statement, the validity of which you will test in the experiment. In this experiment, you will need three ice cubes of the same size. Before you start, you should make a guess about what effect salt or sugar will have on the melting rate of ice. Sprinkle one with a small amount of salt, one with the same amount of sugar, and leave the third as it is. 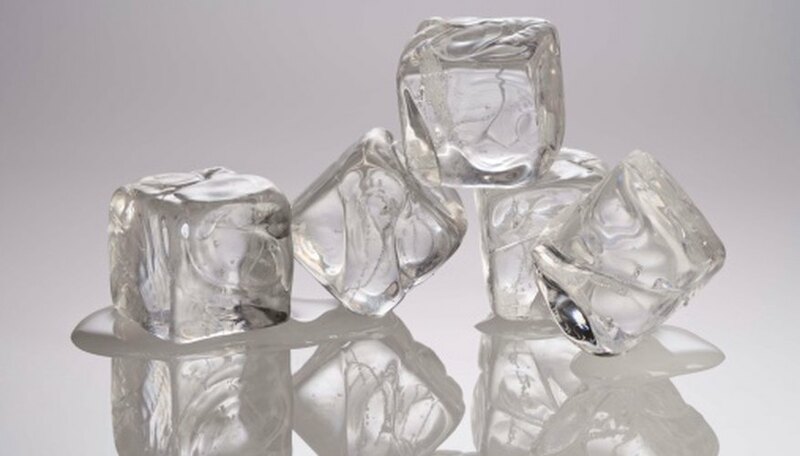 Time how long it takes for each ice cube to dissolve. You should find that the ice cube sprinkled with salt will melt the fastest of the three. This experiment is suitable for early elementary students and will test the solubility of salt and sugar. Fill two small, clear plastic cups halfway with water. Add a tablespoon of salt to one and sugar to the other. Time how long it takes each substance to completely dissolve in the water. 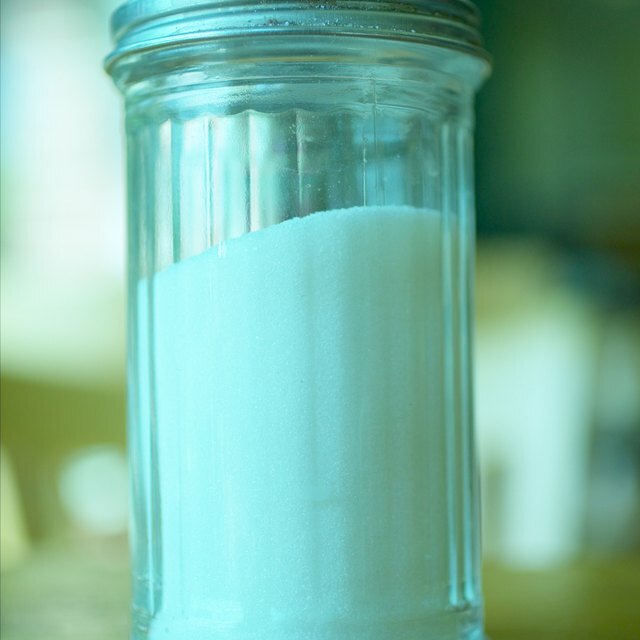 Sugar is more soluble and therefore should dissolve faster than the salt. In this experiment, you will test how different solutes affect the temperature at which water freezes. Fill three small cups half-full with water. Add a tablespoon of salt to one and a tablespoon of sugar to another; stir until they are dissolved. Do not add anything to the third cup; it is your control. Place the three cups in the freezer, which should be set exactly to the freezing point of water: 0 degrees Celsius or 32 Fahrenheit. Make sure each cup is clearly marked. Check your solutions every 15 minutes for two hours. You should find that the control cup has frozen entirely. The salt and sugar water cups will not have frozen. Try lowering the temperature of your freezer gradually until the sugar water freezes. You will find that the salt water will be the last to freeze: this is because adding any soluble to water will lower its freezing point, but salt is more effective at this than sugar. This experiment is a good introduction to chemistry, as well as to lead into lessons about sea water and geography. In this experiment, you will dissolve salt into a small tub of water, while maintaining a second tub of fresh water. Use two identical objects, one in each tub, to determine which solution allows objects to float better. You should find that, with enough salt added, the salt water will better support the object and allow it to float better. Reynolds, Jennifer. "Science Projects and Research With Salt, Sugar, Water and Ice Cubes." Sciencing, https://sciencing.com/science-sugar-water-ice-cubes-7965361.html. 24 April 2017.